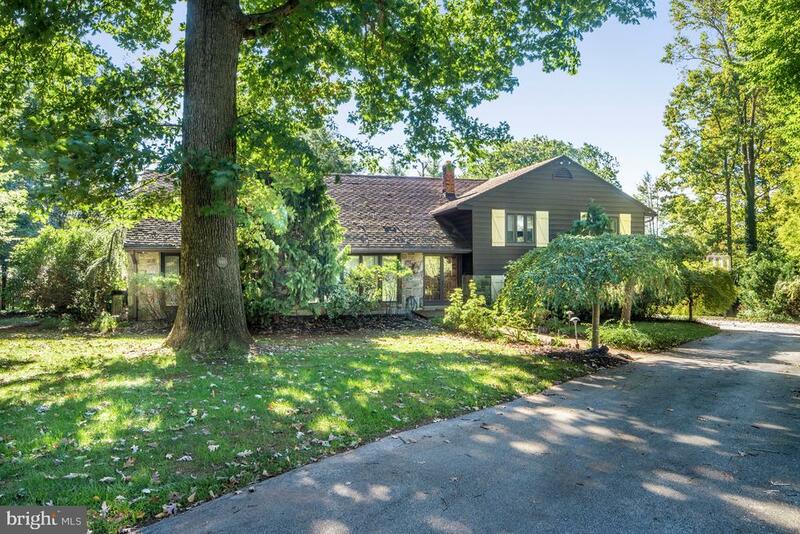 All Wynnewood homes currently listed for sale in Wynnewood as of 04/22/2019 are shown below. You can change the search criteria at any time by pressing the 'Change Search' button below. If you have any questions or you would like more information about any Wynnewood homes for sale or other Wynnewood real estate, please contact us and one of our knowledgeable Wynnewood REALTORS® would be pleased to assist you. "Design ~ Craftsmanship - Livability ~ Comfort - Privacy Built in the 1880s, this unique, well-designed, fully renovated Main Line home (originally built as a country house) is situated at the top of a long driveway with specimen trees on over two flat acres of land in a private but open, parklike setting. Combining the best of old and new, the home offers original millwork and other features designed by Frank Furness, great indoor light with beautiful outside views, architectural details and craftsmanship that create visual interest both inside and out, indoor/outdoor living with its patios, porch and sunroom, and an appealing mix and flow of rooms together with modern upgrades: an updated kitchen, bathrooms and mechanicals. This house offers multiple spaces for various types of entertaining and multigenerational family living and recreation. The paneled foyer with its imposing fireplace offers views of and provides access to the formal living and dining rooms, library, sunroom, study and the open, three story, stairwell. The bright and airy custom kitchen includes a separate breakfast area and island with seating, generous storage (including a walk-in pantry closet) and prep space, access to the back staircase and kitchen porch, and gourmet cooking features like the large, dual fuel Wolf range with its double ovens, griddle and grill or the built-in Sub-Zero. The high-ceilinged second floor has a generously sized Master Suite with two bathrooms, two fireplaces and a separate dressing room/study; two separate bedrooms (each with fireplace); a large bathroom; home office; and second floor laundry room. The third floor with its 9-foot ceilings has three additional bedrooms, two bathrooms and a bonus room (currently used as a study) with its large eyebrow window and built in storage. 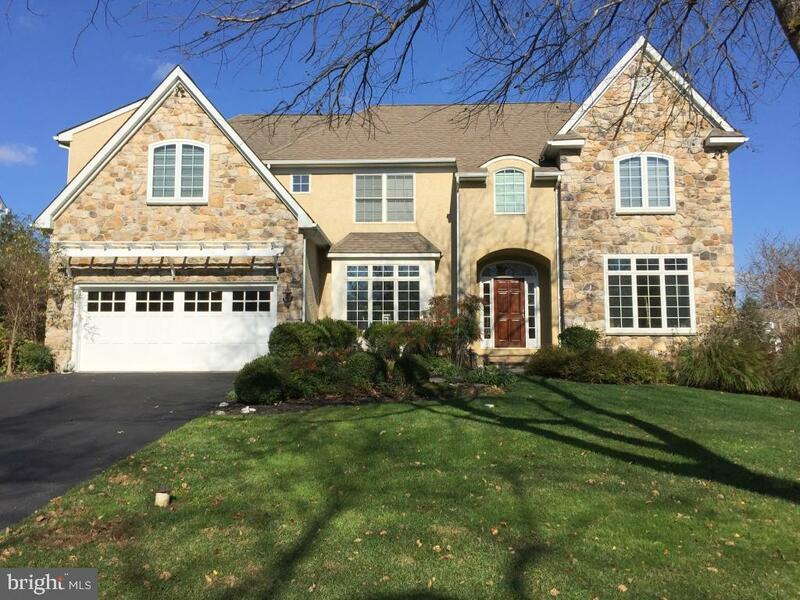 Outside is a two-car garage with a second story with its own private entranceway that can be customized as a"
"This classic stone colonial home has been extensively updated and expanded to include all of the desired living spaces without the excess. 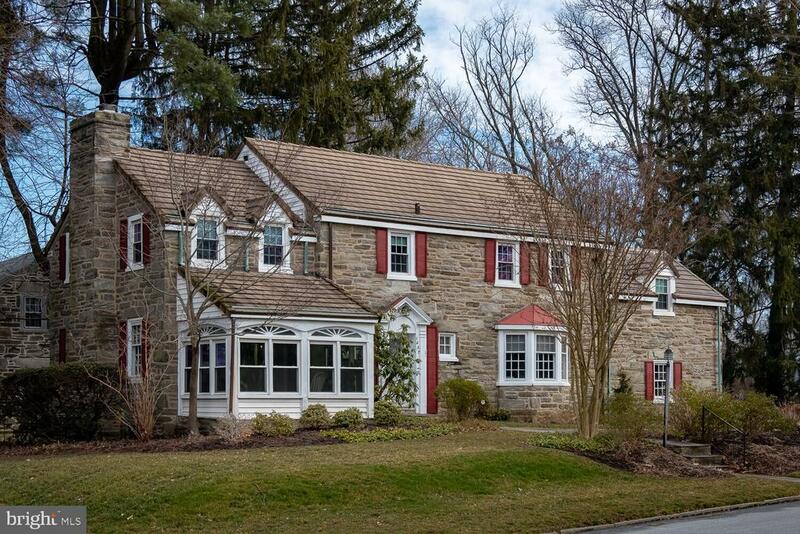 Located on the corner of Quiet Street and Quieter Road in one of Lower Merion's most desirable neighborhoods. Main level living areas include the large family room with built-in desk areas, shelves and cabinets. The eat-in kitchen is adjacent to the family room and includes a breakfast room, island with professional style gas cooktop, sub zero side by side, dual ovens, skylights and wonderful views of the back yard. Step down to the living room with a ceiling over 10 feet, bay window, and a marble fireplace. The office/den is accessed through the living room and features built-in cabinets and stone detail. The dining room looks over the rear of the property and includes a bay window, and crown and chair rail trim. All four of the bedrooms, the three full baths and the laundry room are located on the second floor. The master suite includes a brick fireplace, dressing-room sized walk-in closet, and en suite bath. Bedroom #2 also has an attached bath and features windows on three walls. The third full bath is accessed from bedroom #3 or the hallway. Bedroom #4 is located at a rear corner of the home and features a vaulted ceiling. In the finished walk-out lower level you will find the game room, a full wet bar, stone fire place, vented glass block window units, and twin lighted doors leading to one of two rear patios. Finished-in-place hardwood floors are present in most of the main and upper levels. The home last sold 21 years ago. Floor Plan, Seller Property Disclosure, Radon and Lead Paint reports are all available as attachments." 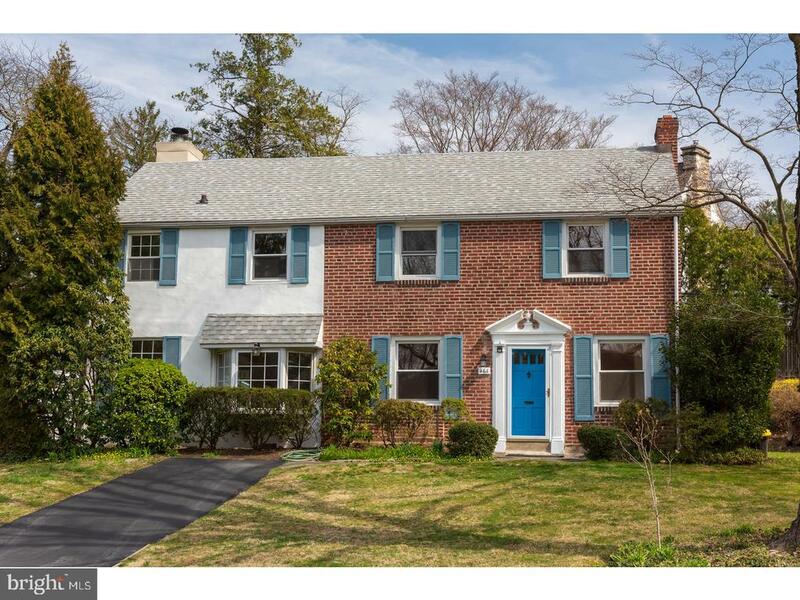 "Rarely available newer colonial home in Wynnewood on a quiet cul-de-sac and close to everything. 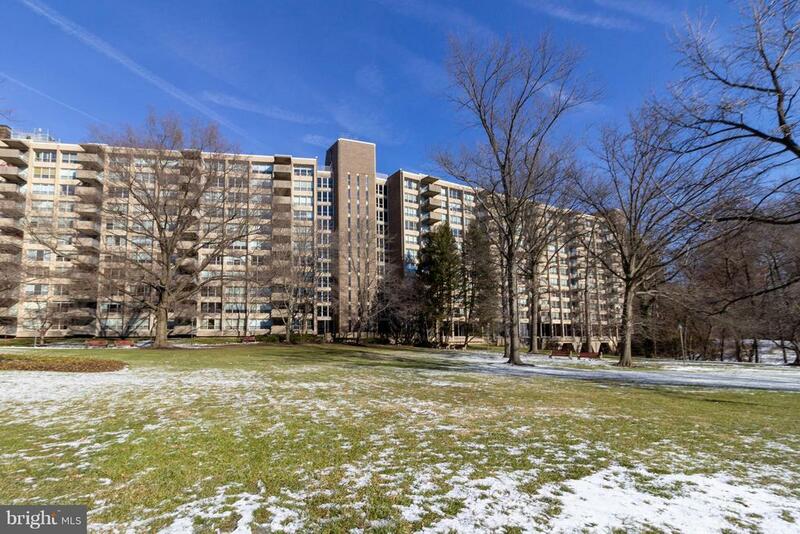 Stroll three blocks to South Ardmore Park and just one mile to shopping (Suburban Square, Whole Foods), dining, Lower Merion schools, and Wynnewood or Ardmore SEPTA stations. This home is the perfect location for anyone looking for convenient suburb living with quick access to the city and airport.5 Bedrooms, 3 full / 2 half Baths, $200k+ in upgrades and beautiful architectural details, this stone and stucco home offers has a modern floor plan with of finished space above grade, plus a huge unfinished basement with 10-foot ceiling and a 2-car garage all situated on a 0.26 acre lot.Welcome your guests into the marble tiled Center Hall entry that opens to Living Room, Dining Room, Powder Room, Study, and Kitchen, with 9-foot ceilings, crown moldings, and upgraded maple hardwood floors throughout. Gather around the enormous 10X4 foot granite center island in the expansive eat-in kitchen with built-in speakers. Professional grade appliances will satisfy your cooking desires: 48-inch Sub Zero fridge, Viking cooktop with 4 burners and grill, Viking food warmer, Miele hood, GE Monogram double ovens and dishwasher. A separate granite counter area with 2nd sink, built-in microwave, and under-counter beverage fridge is ideal for preparing coffee to cocktails. Abundant storage with Century cabinetry and walk-in pantry. Off the kitchen is a 2-story Fam Room with Mendota gas fireplace, speakers, and sun exposure on 3 sides. Exit out onto a 2-year old Trex deck and tree lined back yard from either the kitchen sliding glass door or the center hall French door. The handy Mudroom provides another half-bath, closet, back stairs, and access to garage or side yard. An elegant staircase leads to your private master oasis upstairs featuring a luxurious Master Bath. Start your day in the walk-in shower complete with frameless door, two Grohe shower heads, six body-sprays, and L-shaped marble b"
"This is LAND, Residential community, You can build the home of your dreams." "Location! Location! This wonderful 4 bed 2.1 bath home sits on a beautiful lot at the end of a cul-de-sac in sought after Indian Creek. First level comprises a bright living room, large formal dining room and a gorgeous, custom built eat in kitchen ~ a chefs dream! 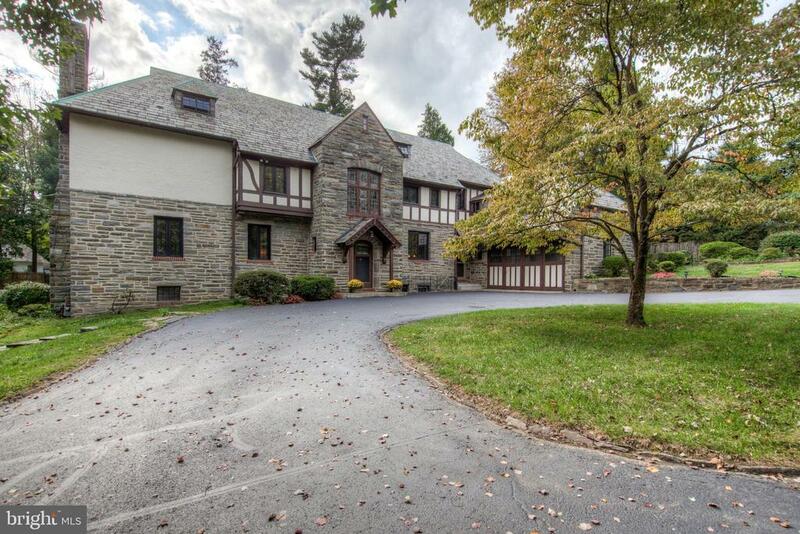 The kitchen opens to large, sky-lit family room with dramatic 2 story, vaulted ceiling and stone fireplace. Both kitchen and family room open to a large deck with awning overlooking the private, level backyard creating a great flow for entertaining. Large first floor master bedroom with en-suite bath and walk-in closet plus powder room complete the first floor. The second level has three large bedrooms and a hall bath. The finished lower level with office and playroom/family room, laundry and ample storage, offers additional functional living space. Award-winning Lower Merion schools. Walk to Wynnewood Center, Wholefoods, and the train - what a wonderful place to call home!" "You~ll love coming home to this wonderful 4 bedroom, 3.5 bath split-level nestled amid beautiful lush property in a great family-friendly neighborhood! Proceed down the enchanting drive while appreciating the greenery that surrounds you, to an inviting place that~s the essence of family living with spacious living quarters, a peaceful outdoor patio, and large tree-lined backyard oasis. Beyond double wood front doors is a lovely open entryway with marble tiled flooring. At right is a large closet for coats, and at left, a carpeted step-down living room where the entertaining begins! A wall of windows brightens the expansive space. Step up to the adjacent open dining room with elegant tiled flooring, a large picture window and striking mirrored wall. Relax with friends and loved ones around the gas fireplace with stone hearth on chilly nights in the nearby den/sitting room accessed through open archways. Sliding glass doors bring the outside in all year round, and open out to a brick patio for warm weather enjoyment. The generously-sized kitchen has big sunny windows, lots of cabinetry for storage, a center island with seating for prepping, serving snacks and morning coffee, and an eat-in area. Upstairs features 3 bedrooms with plush carpeting (hardwood underneath), including a roomy master suite with private bath. Two additional bedrooms share a large hall bath and have capacious closet space. Another huge bedroom with its own bath and large closet occupies the additional half level up. Plenty of fun can be had on the lower level presenting a family room with gas fireplace, wet bar with built-in cabinets, wall of windows and walk-out to the outdoors. There~s also a game/billiards room for casual get-togethers, tiled powder room, and partially-finished workspace for your projects. A 2-car garage, central air, gas heating, and stunning tree-lined backyard enhance the appeal." "Now complete and ready to be moved right in! Originally built in 1799 but masterfully restored and redesigned in 2018, the Residences at William Penn Inn combine historic charm with modern elegance while featuring three expansive condominiums, each with its own 2-car garage, outdoor space, entrance and storage. Very low condo fees make maintenance a breeze! Centrally located in Wynnewood, walk to Giant, Whole Foods, multiple restaurants, and the R5 Septa station all in less than five minutes! Enter into this 3-bedroom, 4-bathroom home and instantly fall in love with the open concept living area, dining and kitchen. You will immediately notice that brand new windows, deep window sills, and hardwood throughout the home. The gourmet kitchen features KountryKraft cabinetry, quartz countertops, and KitchenAid stainless steel appliances. The original mantle has been restored to be a showpiece in your living room. Walk up the beautiful original staircase and find the expansive master suite with a gorgeous marble bathroom and walk in-closet. The second floor also features a large second bedroom with en-suite bathroom, along with a laundry room. Continue up the staircase to the third floor and find an open den area and third bedroom with its own full bathroom. This unit features a spacious 2-car detached garage and designated basement storage. This building was completely renovated and features high efficiency heating and air conditioning, new plumbing, electric, and spray foam insulation, all while providing a (1,2,10) year builder's warranty. Purchase a piece of history! Taxes TBD. Kitchen expansion possible and closets built to buyer specs! Back on the market due to previous buyer not completing settlement contingency! We have a clean inspection report!" "This stately and impressive 4 bedroom stone colonial homes is situated on a corner lot in one of Wynnewood's most desirable neighborhoods. The beautifully appointed generous-sized rooms are accented by hardwood floors and deep window sills. The formal living room is highlighted by a cozy fireplace, recessed lighting and custom window treatments. Enjoy the view from the enclosed and heated sunroom which is bathed in light from windows on three sides.. The entry foyer includes a coat closet and powder room. An adjacent dining room has built-ins, a bay window and sconces. The eat-in kitchen has a bay window above the sink and is open to the family room for ease of entertaining. The second floor features a large master bedroom and adjoining bathroom. The master bedroom was expanded by utilizing an adjacent bedroom to create a walk-in closet/dressing area with mirrored doors. This modification can easily be reconverted back into it's original configuration. There are 3 additional bedrooms on this level, one is ensuite with a private bathroom which can be accessed from the kitchen via a back staircase. In the lower level you will find a finished family room which is carpeted and has a fireplace. The laundry room is also located on the lower level and has a nearby half bathroom, plus outside access. Lots of extra storage space is also available downstairs. There is an attached two car garage plus ample off street parking. The concrete formed architectural roof is a distinctive feature and enhances the curb appeal. 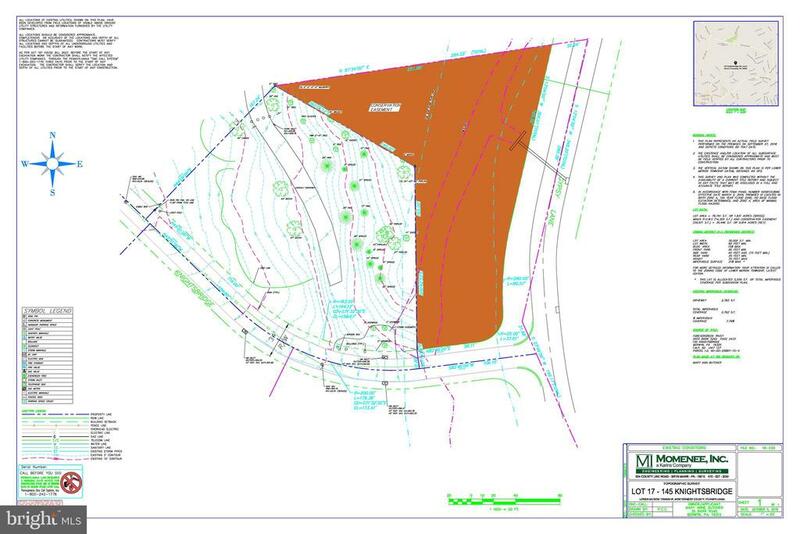 The property wraps around the corner at Hillside & Dale Rds. and extends past the driveway on the right - creating a large usable side yard. This majestic home is well located near township parks and fields, public transportation and shopping districts. 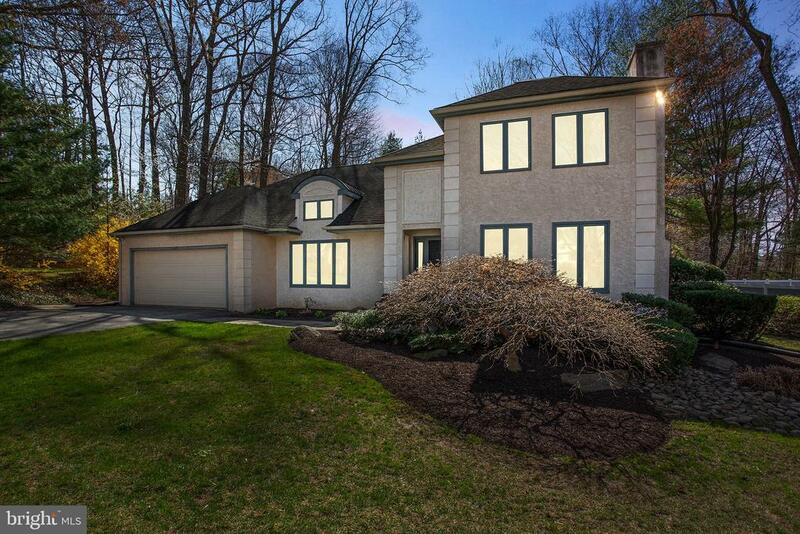 Award winning Lower Merion Schools and the proximity to Philadelphia and the Western suburbs make this home the perfect choice for a quality lifestyle." 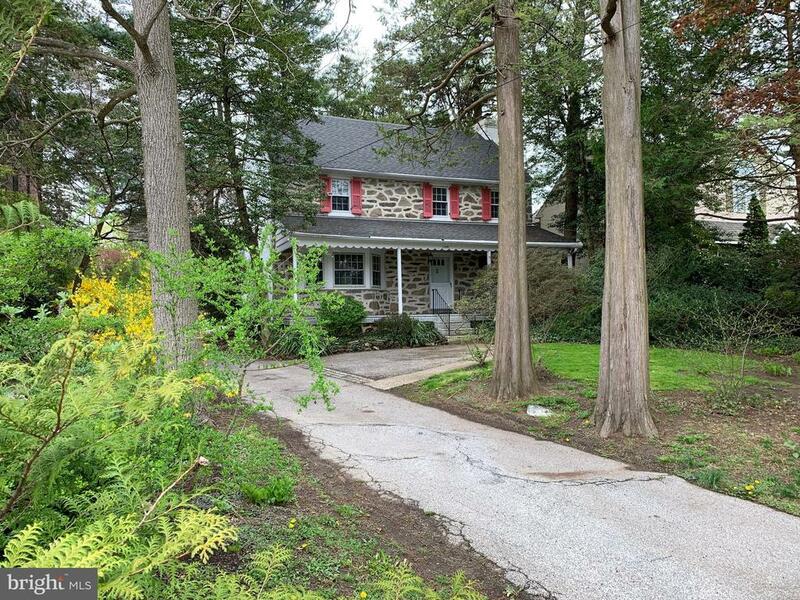 "This classic 5-bedroom, 3.5-bathroom Tutor Home in Lower Merion School District awaits your personal touches! A gracious foyer welcomes you and gives you glimpses of the home's rich history, as well as views thru the French doors to the covered patio and private yard. The foyer is flanked on either side by a gracious, expansive living room and dining room. The sweeping turned staircase leading up to the open 2nd floor foyer brings natural light through a large leaded glass window to the generous space. The spacious living room has beautiful architectural detailing, including a sculpted ceiling, original built-in bookcases and a focal fireplace that makes this a wonderful place to entertain. Off of the living room, a window-filled large year-round sunroom offers views of the private backyard. The classically appointed formal dining room with a crystal chandelier, detailed moldings and front to back large windows offers more space to entertain. 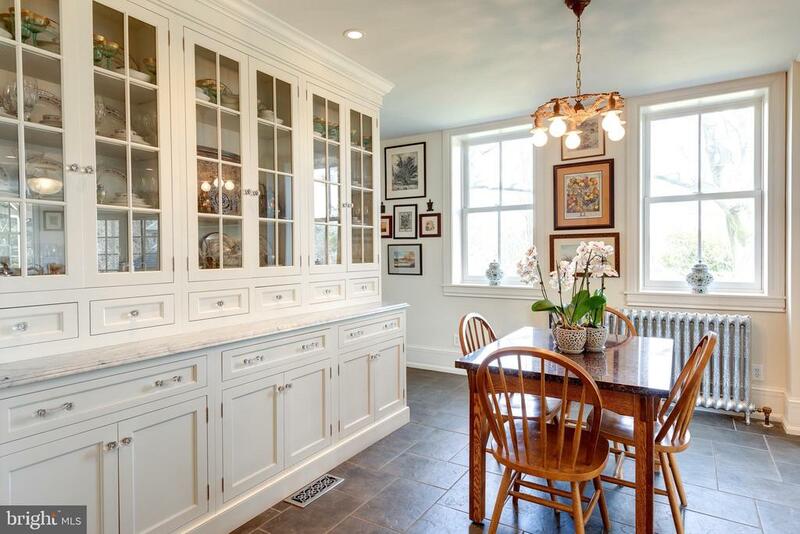 An original butler~s pantry with built-in cabinetry and kitchen connect to the elegant dining room. The kitchen is complete with an eat-in area, door to large stone patio and stairs to the basement and second floor. The first floor is complete with a laundry/ mudroom off of the back door. The 2nd floor has a master bedroom suite with a separate tub and shower bath and large walk-in closet. The 2nd and 3rd bedrooms share a jack-n- jill bath, with tub. There is a 4th bedroom, a full bath off of the hall and several hall closets for linens and storage. A 5th bedroom, currently used as an office, has French doors leading to a balcony overlooking the private backyard. A bonus 'English Pub', fully adorned with a bar and built-ins makes this homes history come alive. In addition, this 2nd floor offers a large family room (playroom/game room) off of the back stairway leading to the kitchen. More than most 2nd floors offer! The 3rd floor, is finished with a full staircase and is currently used as storage space but can offer m"
"English Village... Welcome to 603 Loves Ln! This charming and private ranch home is in an excellent location! Lower Merion School District! Living Room features original parquet flooring, built ins and a brick fireplace. There are many memories to be made in this formal Dining Room which will lead you to the updated Kitchen. The eat in Kitchen has many windows allowing for natural lighting, updated cabinetry and back splash. Don't miss out on the patio out back, wonderful for entertaining! The Family Room features exposed beams and neutral color carpeting. Continue through to the Master Bedroom with an en-suite bathroom. This home is complete with an office, two additional bedrooms and full bathrooms. Schedule your showing, a home like this in such a great location won't last long!" "This wonderful home is conveniently located in the heart of Wynnewood yet set back at the end of a private cul-de-sac. As you enter you will be amazed at the amount of space and sunshine throughout. The Living Room has a hardwood floor and bay window overlooking the rear yard. The second Living Room area, also with a hardwood floor and bay window, is cozy by the gas fireplace with stone surround. The Dining Room area is gracious and has a hardwood floor. The Large eat-in Kitchen has a dining counter and Breakfast area and opens to a Family Room with sliders to an incredible rear deck and level fenced-in yard. The Laundry Room is off of the Kitchen. A Library/Office or possible fifth Bedroom and a full Bath with stall shower complete the first level. The second level features two ample sized Bedrooms and an updated Hall Bath with tub/shower and a double sink vanity. The third level boasts the Main Bedroom and another Bedroom, both with access to a fabulous upper level deck overlooking the private rear yard. The full Bath with tub/shower is updated. These rooms can be used separately or as a fantastic Main Bedroom suite. Don~t miss the amazing Lower Level Recreation Room with outside exit. A storage room and crawl space, and generous closets throughout provide greatly for storage. Walk to schools, public transportation, shopping, dining, and parks and recreation. This home has it all!" "Stone and brick three bedroom 2.1 bath single colonial with covered front porch, attached garage and fireplace. Formal living and dining rooms have hardwood floors, pretty windows and built-ins. Eat in kitchen has gas cook top, with good counter space and double wall ovens. Kitchen sink centered at window and back door to garage. 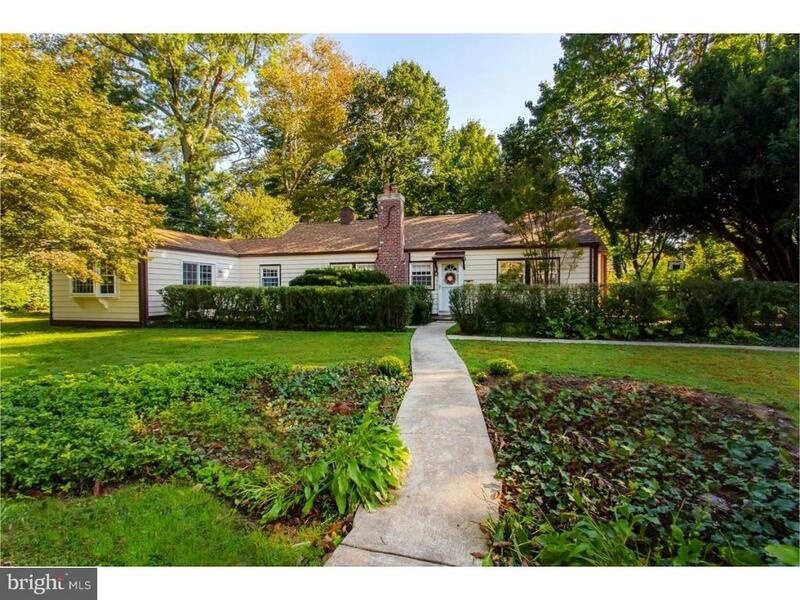 Pretty, private wooded front and back yards. Three bedrooms, two baths on second floor. Main bedroom has private bathroom. Walk up floored attic with newer roof, full, unfinished lower level with laundry. Lower Merion School District. 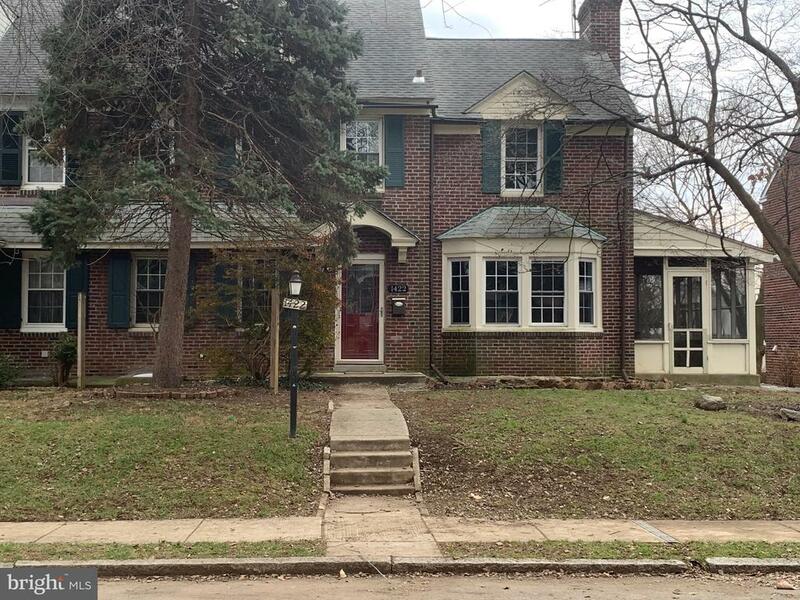 Great neighborhood, close access to LMHS, Wynnewood SEPTA, Narberth and Subruban Square." "A wonderful opportunity to be in Lower Merion School District. Spacious 3 bedroom, 3.5 bathroom brick colonial, freshly painted throughout, three year old roof, new windows in 2015, private driveway and central air are some of the wonderful features of this home. First floor: living room, kitchen with granite counters, dining room, large family room with wood burning fireplace, half bathroom and a french sliding door to the fenced in backyard. Upstairs the master bedroom has a large walk-in closet and a full master bathroom with a jacuzzi tub. Two additional bedrooms and hall bathroom complete the second floor. The finished basement with a full bathroom could be a playroom, gym, office, the possibilities are endless! 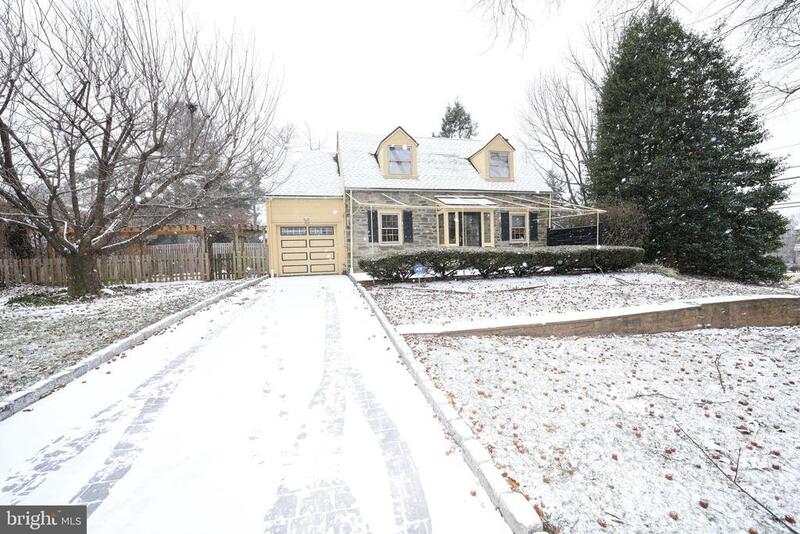 Fabulous neighborhood and walking distance to the parks, train, schools and loads of convenient shopping, Easily accessible to the R5 or Septa line makes commuting easy." "New Price Adjustment. Welcome Home. Check out this Beautiful and meticulously maintained Home shows pride of ownership inside and out. From the moment you walk up the Heated driveway (no more shoveling), to the heated front patio with custom fabric cover that is maintained yearly and stored in the winter, you will be amazed as you walk thru the welcoming front entrance vestibule with built in storage benches. As you walk thru the front door you enter the main living room. Custom Paint, carpet and d~cor make you already feel warm and cozy. The living room leads to the Formal Dining room, with large custom-made storage closets that blend right into the room. Continue into the Full eat in Kitchen with custom made Bench seating and custom-made granite table. Are you starting to see a pattern here? (Custom Everything!!). Past the Bench seats are the full upgraded cabinets with Granite and Stainless-Steel Countertops and Backsplash. Also included are the Viking gas Stove top, Stainless Steel Refrigerator, Dishwasher, Microwave and Wall Oven, all included. The Kitchen is also the main access to the back yard which includes the grill for your summer barbecues. The private side yard with wooden fence and shrub lined side gives you the ultimate in privacy. On the other side of the Living Room is the Den, complete with, you guessed it, Custom built desk, shelving and SECRET closet for extra storage. The wall mounted flat screen TV is included. Up the steps and to the right is the Beautiful Master Bed Room with walk in closet and an additional closet. Just outside in the hall is an oversized linen closet, extra deep for all your goodies. The Hall bath is next with granite tops, tile floors, glass shower doors and some nice built in custom features. Next is the second Bed Room with built in bench seat by the window and nice size closet. On to the third Bed Room with built in beds, over size Pella window to lots of natural light, custom wood work and nice size closet. 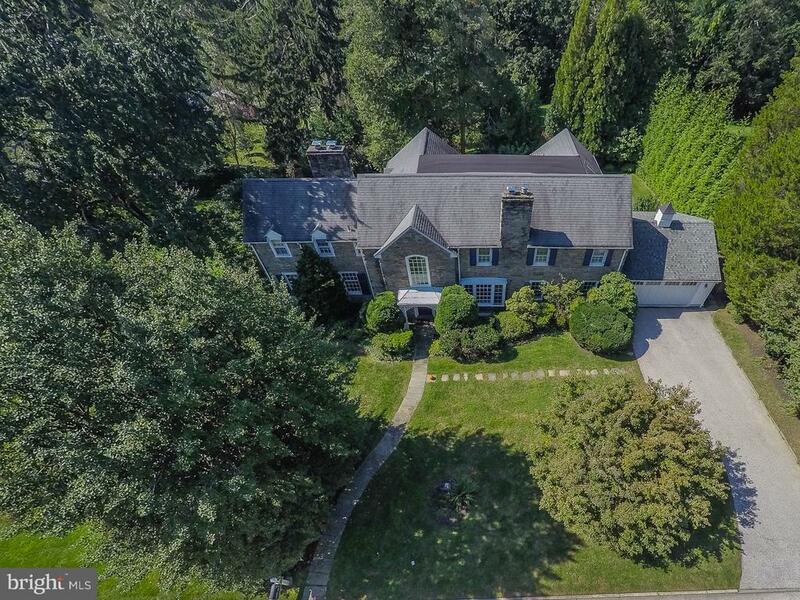 The finishe"
"Center Hall Colonial Brick with 4 Large Bedrooms and 3.5 Baths with Screened Patio and Full Garage in Award Winning & Esteemed Lower Merion School District and Low Taxes. This property offers a Large Living with beautiful brick fireplace, Large Bay Window with Wood floors and New windows throughout the first floor. Large Dining Room with built-in corner cabinets, new chandler. The Handsome Shiny New Kitchen offers Full Length White Shaker Cabinets that run to the ceiling, LED recess lighting, Plenty of GFCI Outlets, Granite Counter Tops with Gray Subway Tile, Drop Sink, Garbage Disposal with Stainless Steel New Appliances -(Refrigerator, Micro-wave Oven, Dishwasher & Range). French Door lead to perfect breakfast room with plenty of natural light. Backdoor leads to fenced in yard with Deck that turns toward Large Garage with Electric Garage Door Opener. Partially finished basement is ready to be finished with Newer Heater, Hot Water Heater and New Electric Box. The Basement offers a Full Bath with shower stall and laundry with cabinets and newer washer and dryer. Master bedroom has wood floors with His/Her Closets that leads to Master Bathroom with tiled floor and stall shower. French door leads to potential deck off the master bedroom. 2nd & 3rd Bedrooms are Corner bedrooms with plenty of natural light. 2nd Floor Bath offers Ceramic Tile and Full Bath Tub with Shower. 3rd Floor offers 4th Bedroom with finished attic and closet with half bathroom. Off Street parking also available. Close to all the kinds of Restaurants, Shopping, and transportation-Train. All this & great neighbors, great schools, peace, and quiet too! Convenient to public transportation and major highways. Come and see if this Perfect House is right for you!" "Brand new Hardwood Floors in the Living Room and Dining Room! This is a superior location for walking to Penn Wynne Elementary school, shopping, places of worship and Wynnewood Valley and Penn Wynne ParksHome or Investment Property or maybe Starter turn Investment??? Enter the spacious Living Room with a decorative brick surround Fireplace thru to a formal Dining Room with Chair Rail and Entrance to the Lower Level. Flattering Hardwood Floors newly installed in both rooms. The Eat-In Kitchen has been improved and is fully equipped with Kenmore appliances:gas Oven/Cooktop, Built-in Microwave,Dishwasher,Maple Cabinets,and Outside Exit to private Patio and 1 Car Garage.2nd Floor Master Bedroom features 2 Closets, an updated, neutral Tub/Shower Hall Bath with a Vanity Sink. There are 2 additional Bedrooms with Closet Storage and all with wall to wall neutral carpet. The Hall/Linen Closet has access to Attic Storage above. 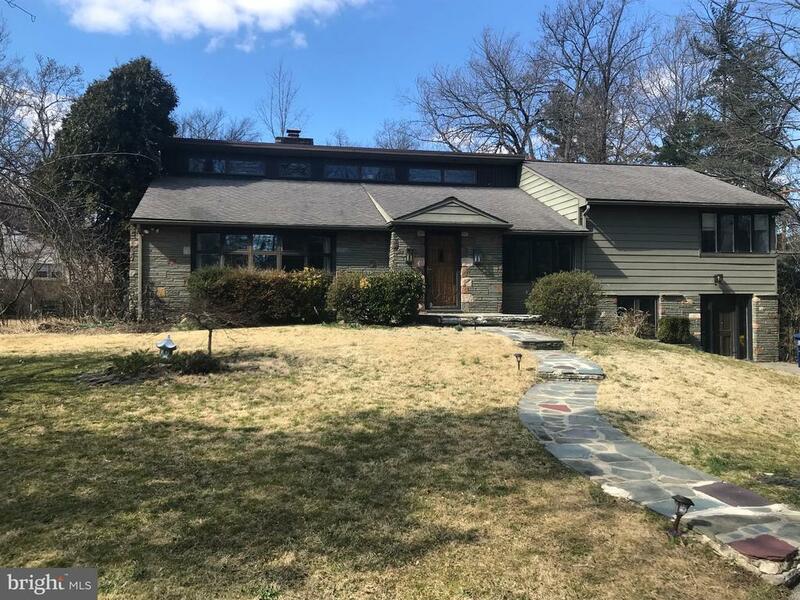 Freshly painted, new wall to wall carpets, a 4 year old Hot Water Heater/HVAC, and appliances lend this Penn Wynne Home ready for immediate possession." "Location, Location, Location. Beautiful renovated 1 bedroom/1 bathroom spacious entree with large walk in closet, brand new kitchen with stainless steel appliances large dining room, very large living room large bedroom with new bathroom and a great closet. Apartment faces the back of the building which is quiet with beautiful green trees. Across from Whole foods, walking distance to train and shopping. Roof top deck, nicely appointed social room with library. There is a waiting list for an indoor parking space. There is a charge for an indoor parking space. The air conditioners are in the wall, not the windows. This apartment will not last." "Buy a Lifestyle!Well cared for 2 bedroom 2 bath unit at The Greenhill. Boasting 1222 sq ft, of sun filled living, updated eat in kitchen, kitchen , master bedroom /walk in closet, tiled bath with WI bath tub/shower; laundry, loads of closets, laminate flooring in living room, dining room, and kitchen; gated community, 24 hr doorman, newly renovated lobby and hallways, newer windows and sliding door. shopping bus to area markets, hospital, and transportation. Community outdoor pool, condo fee includes all utilities except cable, internet, and phone. 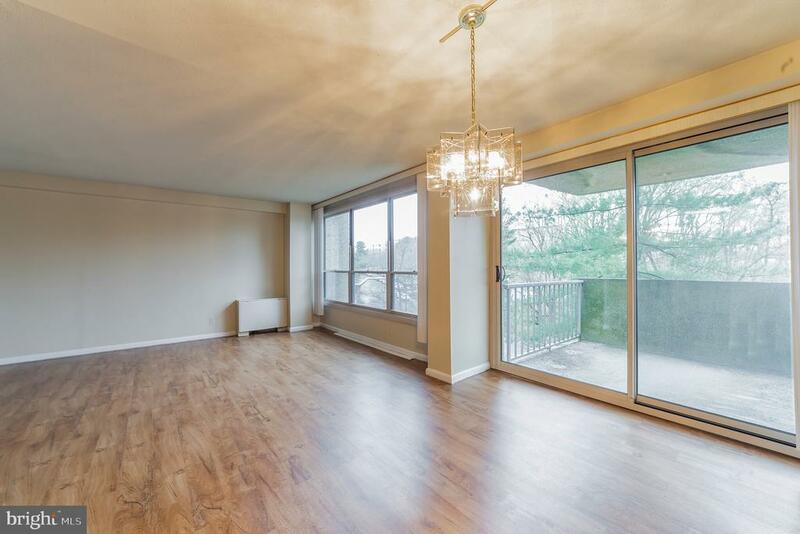 Buyer pays 2 months condo fees + 2 months capital contribution at settlement.Priced 2 Sell!" "Bright & sunny one-bedroom condo in the community of Green Hill. This third-floor condo offers an open floor plan with a beautiful balcony and lots of light coming in to the living room. The complete renovated kitchen, lots of cabinet and counter space. Adjoining the kitchen is an enclosed laundry area with full size washer and dryer and additional cabinet space. New renovated kitchen and floor, this open floor condo offers high ceilings and completely illuminated with beautiful lamps. The spacious master bedroom features numerous closets, 2 walking closets and one big extra closet. The monthly fee includes ALL utilities you only pay for cable. This great community have 24-hour security, Doorman, Courtesy Bus, active social club, library, transportation, shopping, tennis court; Outdoor Olympic swimming pool and private cabanas, health club (extra fee) and on-site management. Located in Lower Merion Township, the community is within minutes of all shopping, restaurants, public transit and major roads. Luxury living and more. There is currently an assessment for re-decorating of common areas. Contact agent for further details." 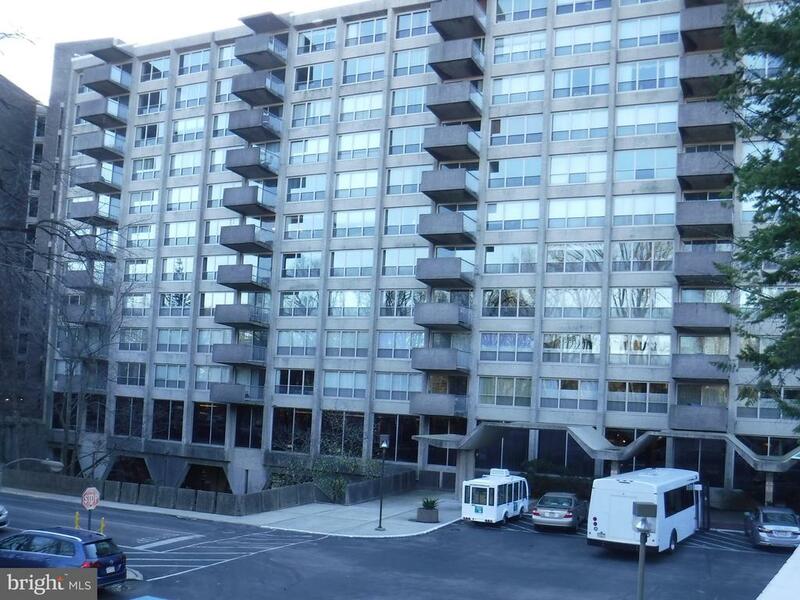 "Enjoy a carefree lifestyle in this one bedroom plus den unit in The Green Hill's West Building. This condo features an open floor plan with a breakfast bar that opens to the living and dining area. The den or 2nd bedroom room has a sliding glass door leading to a large balcony with gorgeous tree top views. The large master bedroom includes great closet space and the hallway provides even more storage and a laundry area with washer and dryer. The Green Hill is a full service gated community which provides 24-hour security, doorman, on-site management and maintenance, health club, indoor and outdoor pools, tennis courts, playground, courtesy shuttle bus and social rooms. Indoor and outdoor pools and health club are available for an additional fee." 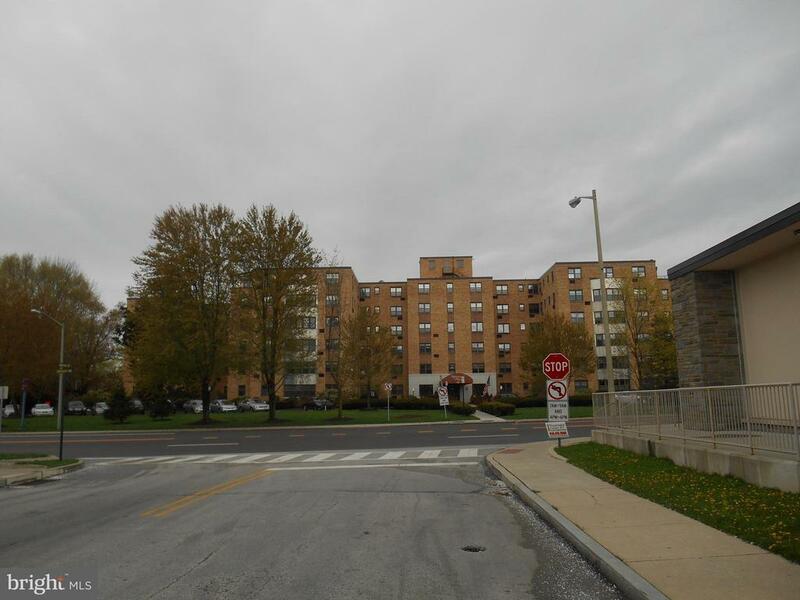 "Move right into this sunny and spacious 1 bedroom corner unit in the popular Green Hill Condominiums and start living the life of comfort and ease. This first floor unit is larger than most 1 bedrooms at the Green Hill and boasts an updated kitchen, ceramic tile floors in the foyer, kitchen, and dining area, new heater and a/c, new windows and slider, great natural light, and an abundance of storage. Enjoy the many amenities that the beautifully redecorated building has to offer including stunning new lobbies, community rooms, tv room, and library. Tennis courts, and playground are available for your enjoyment, and a vibrant social club offers a multitude of programs, lectures, and activities. Indoor and outdoor pool, and gym are available for an additional annual fee. The Green Hill is a private, gated community with doorman access to the buildings offering 24 hour security for your peace of mind. 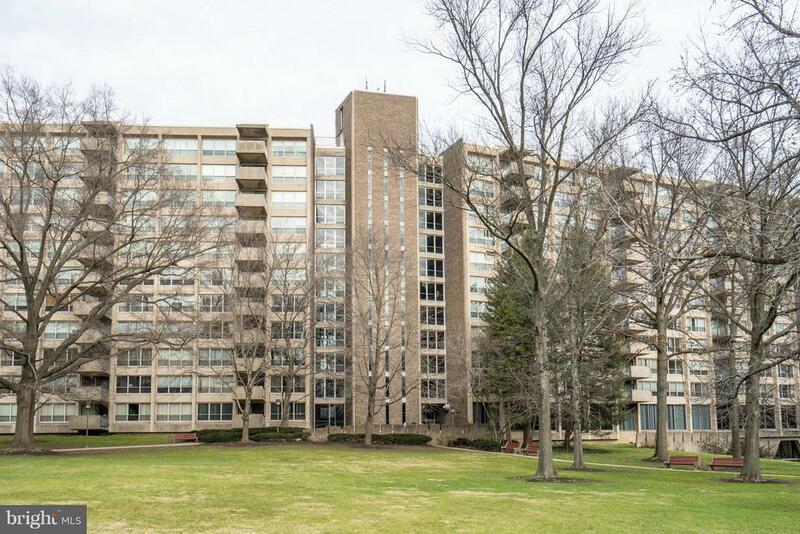 Conveniently located in Lower Merion Township near schools, hospitals, restaurants, shopping, and transportation, and offering complimentary shuttle service to local destinations."